Beautifully designed belt made in a pearilized cream/pearl/off white leather. This belt is perfect for any ocassion, evening wear or casual. Designed to contour and compliment the waist. Accented with rhinestones and a contemporary asymmetric shape. 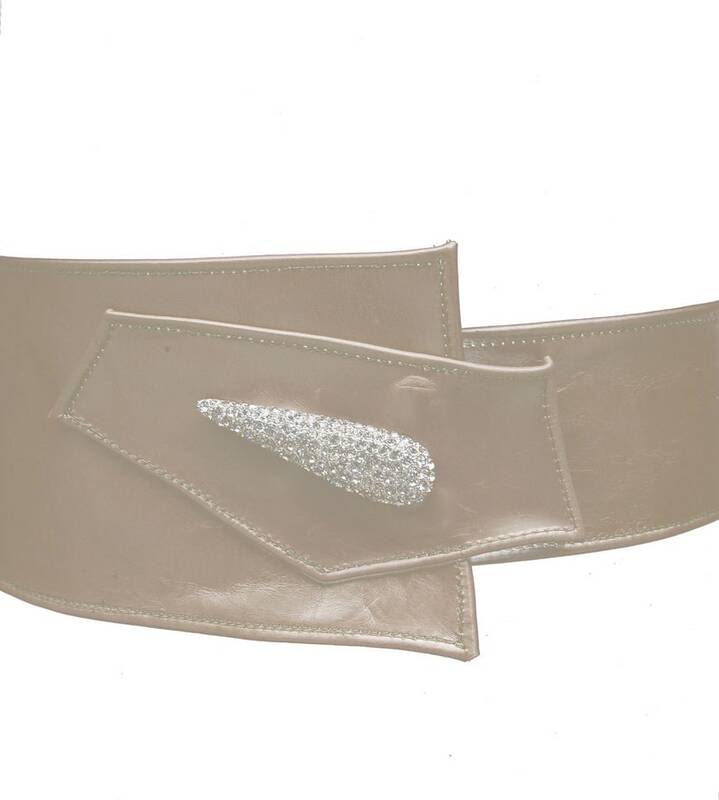 This belt is perfect for any ocassion, evening wear or casual. Clean, simple and elegant, you'll love this belt. Asymmetric design with a height on one side 4-3/4", 3" on the other. Two hidden metal snaps,, 36-1/2" waist., can be altered smaller.